XSmall, Small, Medium, Large or Xlarge. YOUR CHOICE OF SIZE Waist sizes approx inches- XSmall 24-28 inches, Small 28-32 inches Medium 32-36 inches Large 36- 40 inches Xlarge 40-44 inches. 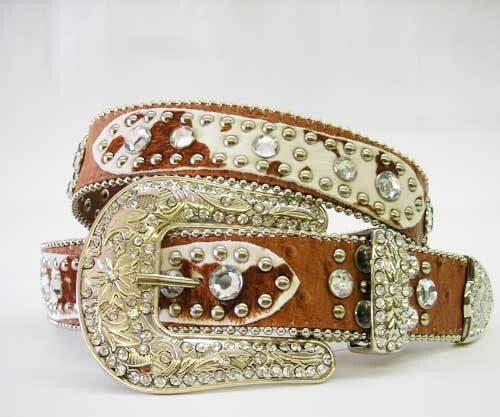 (Depends on where you wear your jeans lower or higher measure around that area for better fit) MESSAGE SIZE EMAIL QUESTIONS Belt sizes are measured from the end of the buckle strap starts to the tip of the belt. Belt sizes: XS(KIDS)=33", S=37", M=39", L=43" You would add about 4 to 5 inches to make it whole length of belt from end to end includes whole buckle and whole end. Measurements above without buckle. Picture does not do this belt justice.Taken with camera phone. Please email me if you have any questions.